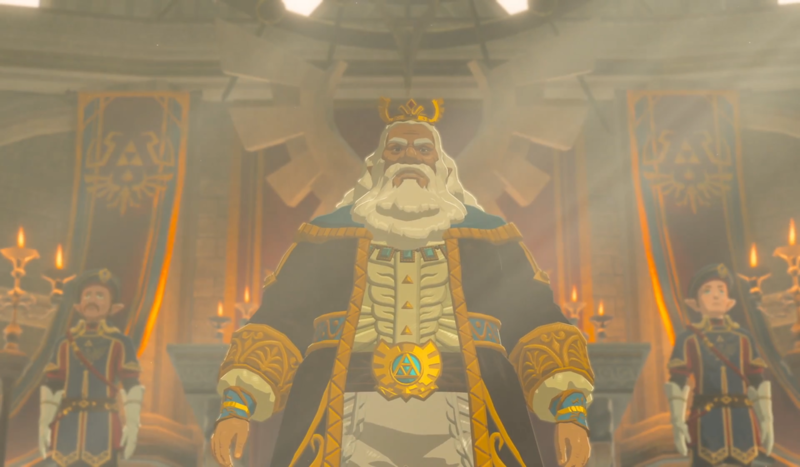 With the series simply being named The Legend of Zelda, it’s sometimes quite easy to forget that, in most games, Zelda is actually a princess, suggesting the existence of a king and queen, and an extended royal family. Despite this, very few titles in the series use this idea in great detail. In most cases, a king is at least mentioned, only being seen in The Minish Cap, A Link to the Past, The Adventure of Link, The Wind Waker, and Breath of the Wild. Of these, only The Wind Waker and Breath of the Wild give the king any time to develop as a character. In the other cases, he simply appears to develop the plot, rather than his character. On top of this, of all the titles so far, only Breath of the Wild makes mention of a Queen of Hyrule. Various memories and diary entries all reference Zelda‘s late mother, who passed sometime before The Great Calamity. Despite not even being seen throughout the game, I feel like her character was developed more than that of King Rhoam, and her importance to the plot was very clear if you went looking for it (as with most things in Breath of the Wild). Perhaps a future title could fully introduce us to the royal family of Hyrule? We could meet the king and queen, and other family members; perhaps Zelda could have siblings. This could also be an opportunity to explore Hyrule Castle once again, this time without the threat of imminent death and destruction. What do you think? Would you like to see a Queen of Hyrule, or any other members of the royal family in a future title? Let us know in the comments!